Authentication through the Scotty Cameron website is done by the Custom Shop/Studio. 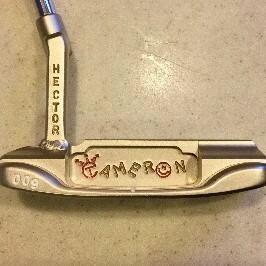 When you send your putter for authentication, the Custom Shop assigns you a number and letter combination. You receive a certificate and your putter, as long as it passes authentication, will be stored in the Scotty Cameron database. Thanks, Hector but as you can see in the picture there is a label with such an item. Is that what the custom shop uses or what is that label for? And is the serial number on the shaft the one I register with Titleist or that label with the Authentication Number on it?